Buffalo River Yacht Club is located in East London city. 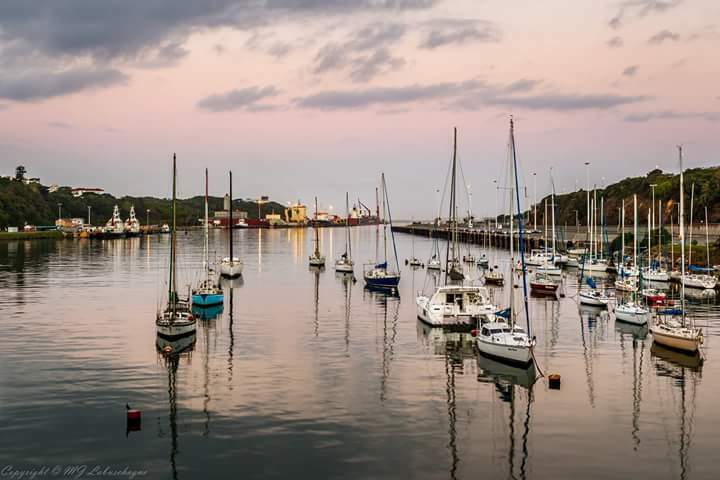 East London is on South Africa's southeast coast, on the Buffalo River. Its white sandy beaches, good weather and impressive surf make it a popular holiday destination. The harbour is safe to enter even in strong winds and provides good shelter in all wind directions. Position 33° 01'27"S, 27°55'41"E (harbour entrance). We are an active sailing club in East London, SA. We offer warm hospitality to all guests and invite sailors from all over to visit us! Proceed all the way into the harbour, to just before the railway bridge where the Buffalo River Yacht Club is located. There is plenty of room to anchor next to the Club, or you may find a free visitors space on the Yacht Club pontoons.